Just releasing in 2016, MSI GS63VR-6RF Stealth Pro with super slim and thin design compared to Dell XPS 15 and Asus Zenbook Pro UX501 is an amazing innovation of MSI for this gaming laptop series. Beside the spectacular design, it still maintains strong performance by the much more powerful processors and graphics inside. With the size of 380 x 249 x 17.7mm and 1.89kg weight, it is considered to be one of the slimmest gaming laptop of 15 inch series up to now as the remark of page Laptopmag in comparison between Gigabyte P55W, Alienware 15 and Digital Storm Equinox. Its design is so clean and simple that most users are unbelievable to think that such a lot of power could hide inside this impressively light gaming laptop. MSI also uses the steelseries multi-color keyboard in which every keystrokes can be set base on the gamer’s preferences through the Steelseries 3 Engine. And it is combined with the smooth trackpad for the gaming controls as well. GS63VR adopts a lightweight chassis using Mg-Li alloy in its design. Somehow it is supposed as the world’s lightest gaming notebook with the new definition of slimness gaming. From my perspective view, gaming laptop is coming in the new era where they don’t need to be too heavy anymore, but slim and powerful. And this laptop is one of the best gaming laptops which has a beautiful and smooth design like this. Most reviews about GS63VR from many pages, such as: Laptopmag, Tbreak, appreciates the quality of the screen display as a significant advantage. The 1920 x 1080 matte display of the Stealth Pro in 15.6 inch panel shows gorgeously vivid colors, especially when changing to red. The reflections could not appear in this kind of laptop due to the perfect anti-glare coating from the IPS panel. The viewing angles could satisfy even the most difficult user since it is extremely great as expected with good color reproductions. However, regarding Ultrabook Review, the viewing angles are totally good using the IPS display, yet it is desired more for the brightness and colors. In general from their comments, the color space is the main issue since the sRGB is just a mere 65%, NTSC 74% and aRGB 49%. As a result, some people would feel fine with this screen, but if you need to edit pictures or videos, or use it next to any decent monitor out there, you might have to think twice. Powered by i7-6700HQ – the latest generation of Intel Core i7 processor, it requires lower power consumption whereas it still delivers better performance than the older processors, which lead computing to the next level. The Intel Core i7-6700HQ is a high-end processor based on the 14 nm microarchitecture from Skylake. It offers 4 physical cores (8 logical), initially clocked at 2.6GHz, and might go up to 3.5GHz and 6Mb in L3 cache. Hyper-threading Turbo Boost 2.0 and Virtualization are activated. This processor also integrates a “good but not best” graphics named Intel HD Graphics 530, which has 24 execution units, initially clocked at 350MHz and could reach at 1050MHz in Turbo mode which share the L2 cache and system ram with the processor. Its performance is good and sufficient for doing normal applications and watching movies. As reviewed in Tbreak Media: “The quad-core processor and teaming up with a large room of 16Gb DDR4 RAM promises fast and snappy performance on the go”, I totally agree with this. Also, the 6th generation i7-6700HQ of Intel Skylake is the fastest to peak a short of the over-clockable core i7-6820HK for mobile computer as a remark from Mobile Tech Review. Although the official page of MSI has announced that the performance of the i7-6700HQ processor is 20% better than the previous generation processor i7-4720HQ, the power of those processors are actually similar except the lower power consumption of i7-6700HQ and the Intel HD Graphics 530 is better than the Intel HD Graphics 4600. The GS63VR is powered by NVIDIA GeForce GTX 1060 GPU (with 6Gb of VRAM), but according to Tbreak, this card sports the same true desktop-class NVIDIA GTX 1060 Pascal GPU with slightly lowered clock speeds (around 100-150 MHz difference in the clock speed). As Laptopmag remarked, this laptop peaks 7.4/10 in the SteamVR performance test and beats the P55W’s with the rate of 6.6, but not the 8.4 category average. The NVIDIA Pascal technology also plays an important role in boosting popular games noticeably, for example, Witcher 3, Hitman, Grand Theft Auto. With this graphics card, it is easy to reach 40fps in Ultra, 56fps in High in above games. Moreover, there is a review of Tbreak showed that the NVIDIA GTX 1060 is just perfect for 1080p screen resolution gaming, and it is not really meant for 4K resolution gameplay. In my opinion, the NVIDIA GTX 1060 GPU has done a very good job to performance the game in full HD resolution. It is said that the NVIDIA 1000 series is promised to improve 40% performance in comparison with 900M series and NVIDIA has abandoned the “M” in the end of the name in order to bring the best performance with few differences between desktop and gaming laptop. Powered by Steelseries Engine 3, the RGB keyboard is adjusted as user preferences. As mentioned on page Mobile Tech Review, the travel between keys are great with good damping and make users feel adorable when touching. With the free adjustment tool by users, they have many options to change colors to whatever they would like to use, for example, rainbow color or any single color. The Mobile Tech Review commented that touchpad stink doesn’t exist any longer, so that that user has managed to forgo a mouse without grumbling, yet he also said later that it could not be compared to the best trackpads like Dell XPS 15 while about performing gestures, Laptopmag remarked that the 4 x 2.7 inch Elan touchpad when swiping with three fingers or rotating with two fingers is pretty smooth. Nevertheless, there are still some annoying troubles with the mouse when it moves unintentionally to another position. Eventually, the keyboard and trackpad still satisfy most people when there are sometimes exceptional annoyances which appear while typing and using the pad. For heating, regarding Ultrabook Review, this laptop does tend to get pretty hot. Under normal loads, it is quite tolerable, but gaming loads might require a cooling pad for many gamers. Besides, following a remark of Laptopmag, playing Witcher 3 can reach 84 degrees Fahrenheit on touchpad whereas the system center hits 95 degrees Fahrenheit. In addition, the notebook’s undercarriage measured a hot 123 degrees, so if you think you can put the laptop on other laptops, it is not recommended. The laptop also may run a little hot when it is doing normal activities (103 degrees at the bottom of the laptop, and 86 degrees measurement for trackpad respectively). “The quad-core CPU and high-end graphics are simply too power-hungry as are the bright displays. 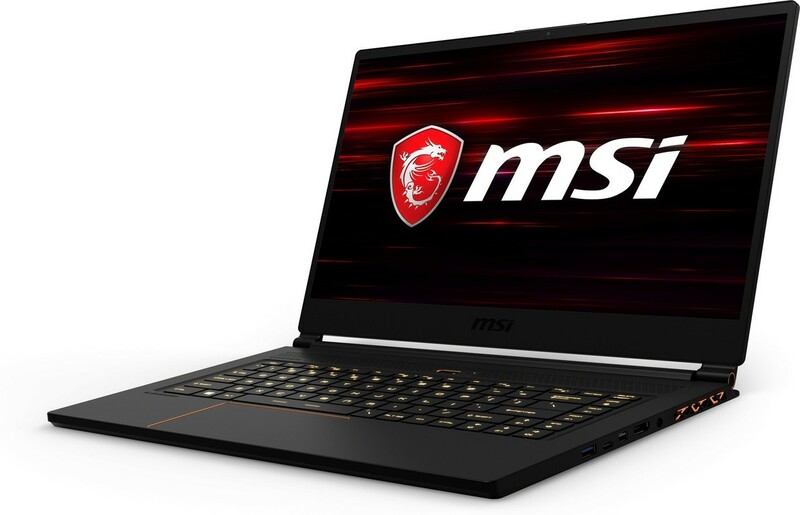 The 15.6” MSI Stealth Pro averaged 3.5 to 4.4 hours for productivity and streaming video tasks with brightness set to 50%”, said Mobile Tech Review. By contrast, Laptopmag has simply concluded that the existence of power is due to range of cost, particularly, with the Stealth Pro’s circumstance, it is the battery life. Their measurement shows that this laptop would last only 2 hours and 54 minutes on battery test when surfing the internet continuously using Wi-Fi connection. 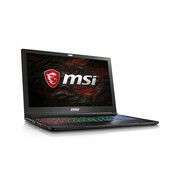 Generally, the battery is that something obviously weak in most gaming laptops, yet MSI has done their job rather well when making an extraordinarily slim and thin laptop on gaming demand, so that it is a bit difficult to request for a longer battery life. Perhaps, it will appear soon in the future. The speaker, according to review of Ultrabook Review, have only two and they are not special at all. They get fairly loud, but you have to do some work for it by messing the setting in software. Nonetheless, MSI has made a perfect headphone jack which really improves the sound coming since the laptop is equipped with a Sabre ESS Hi-Fi digital to analog converter. About the connectivity, the GS63VR has 3 x 3.0 USB ports, yet as a comment from Ultrabook Review, you might as well consider only two of them accessible at the same time, as the ports are so close together. This laptop also supports the Thunderbolt 3 which the reviewer was able to connect to the external graphics and get the significant boosts. However, the Ultrabook Review also indicated the weakness on connectivity that the memory card slot speed is merely USB 2.0 speeds. Consequently, copying file will be limited even if you are using the high-speed memory card. Furthermore, in a glance at the webcam, the Ultrabook Review noticed that the webcam of GS63VR is just 720p (HD quality) instead of 1080p (Full HD quality) which will have a pretty low image quality. 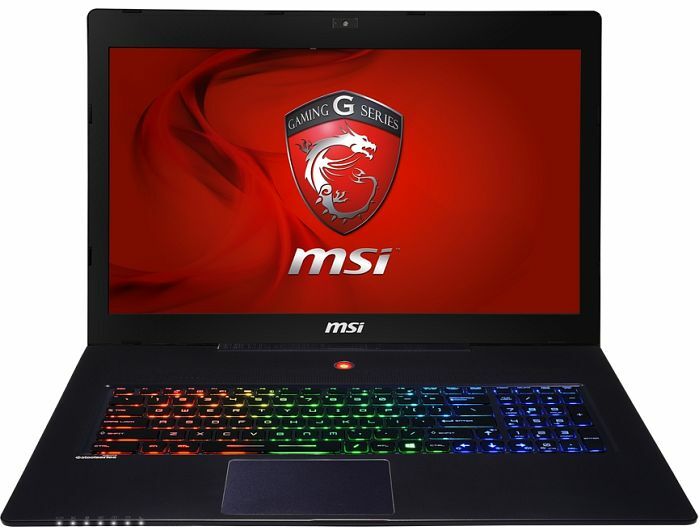 In summary, GS63VR-6RF Stealth Pro of MSI could be considered the most stunning laptop with the impressively slim and thin design in such a powerful gaming laptop. The manufacturer, MSI also follows up high-tech trends today by developing the virtual reality experience for MSI gaming as well as the integration of the powerful graphics card – NVIDIA GeForce GTX 1060 GPU, which helps to improve best performance when gaming in the Full HD resolution. In addition, the performance of GS63VR is incredible by using the latest generation Intel Core i7 processor. Another point that must be mentioned as an advantage of this laptop is the balance of power and portability: this is actually the most outstanding feature in this model. Even though this laptop seems to be a perfect laptop, there are still some disadvantages existing, for instance battery is the first restriction as normal. Beside that, the trackpad sometimes can make users annoyed with inadvertent movements. The 2.0 USB speed memory card slot does not meet the user demands in transferring data nowadays as my individual view. The webcam in 720p quality instead of 1080p quality as advertised could cause a little regret from users. 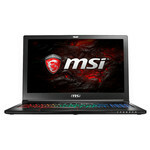 However, notwithstanding the unexpected problems, MSI probably manufactured an amazingly great laptop with much more unbelievable improvements, especially in the design with extremely reasonable price range (around 2000 – 2400 Euros). I just can say that it is incredible. Slim and fast. Thanks to the new Pascal GPU, MSI now packs high-end performance into a slim laptop. The temperature development is okay and other areas of the GS63VR Stealth Pro are convincing as well, but MSI should have another look at the fans. The good news is the GS63VR isn’t any more expensive than competitors that offer the same feature set. Its closest match – the Razer Blade – features a smaller 14-inch display and for an extra $200. I like the design of the Razer Blade more than the GS63VR, but MSI’s option is still a fantastic buy in this product category. MSI has managed to produce a game-changing laptop which looks perfect on paper, but needs a lot of improvement when it comes to real-world usage. The GS63VR packs in an extraordinary amount of power, considering its size. However, everything from fan noise to bloatware reminds us that MSI doesn’t have the kind of experience that Dell, HP, and Lenovo do, and consequently, there are things it needs to learn. Despite its drawbacks, I’m still blown away by what the MSI GS63VR Stealth delivers—a 4-pound laptop that can play the newest games with settings at or near Ultra. That’s just a tectonic shift of portable gaming capability we’ve just never seen before. Previously, the best GPU we could expect in a laptop this thin was Nvidia’s GeForce GTX 970M. The GTX 1060 in the Stealth is at least 50 percent faster than that. That means that with the MSI GS63VR Stealth, you can finally have your portability and your performance at the same time. If you’re in the market for a portable, lightweight and stylish gaming notebook, the GS63 Stealth Pro is certainly the one to get and I can’t think of any gaming notebooks as slim and light as this particular model. The i7 6700HQ will power through anything you throw at it and the GTX 1060 will play all the current games you want at 1080p now and probably well into next year without struggling. Don’t take the $1,899 MSI GS63 Stealth Pro’s slimness for weakness. Beneath that 0.69-inch-thick chassis lies a bona fide gaming laptop capable of delivering great frame rates and playing nice with VR helmets. It’s even got blistering transfer speeds, a comfortable keyboard and a lovely display to boot. Don't take the $1,899 MSI GS63 Stealth Pro's slimness for weakness. Beneath that 0.69-inch-thick chassis lies a bona fide gaming laptop capable of delivering great frame rates and playing nice with VR helmets. It's even got blistering transfer speeds, a comfortable keyboard and a lovely display to boot. As ever, MSI is first with next generation gaming laptops (a few Asus models are out too). As ever, MSI offers the lightest and skinniest high end gaming laptops on the market starting under $2,000 (Razer specializes in the higher price tier, with casing materials and miniaturization to match that higher price). There's a lot of value here in terms of ports, headphone audio quality and expandability, though some things like RAM and the SSD aren't readily accessible. Though the $1,699 Asus ROG Strix GL502VS-DB71 high end configuration competes strongly with a faster GTX 1070 video card, faster PCIe NVMe SSD and a faster 7200 RPM HDD, it's also thicker and a pound heavier. 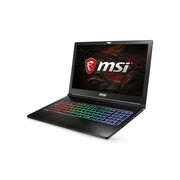 MSI still has the thinnest and lightest 15.6" gaming rig you can buy in this price range. 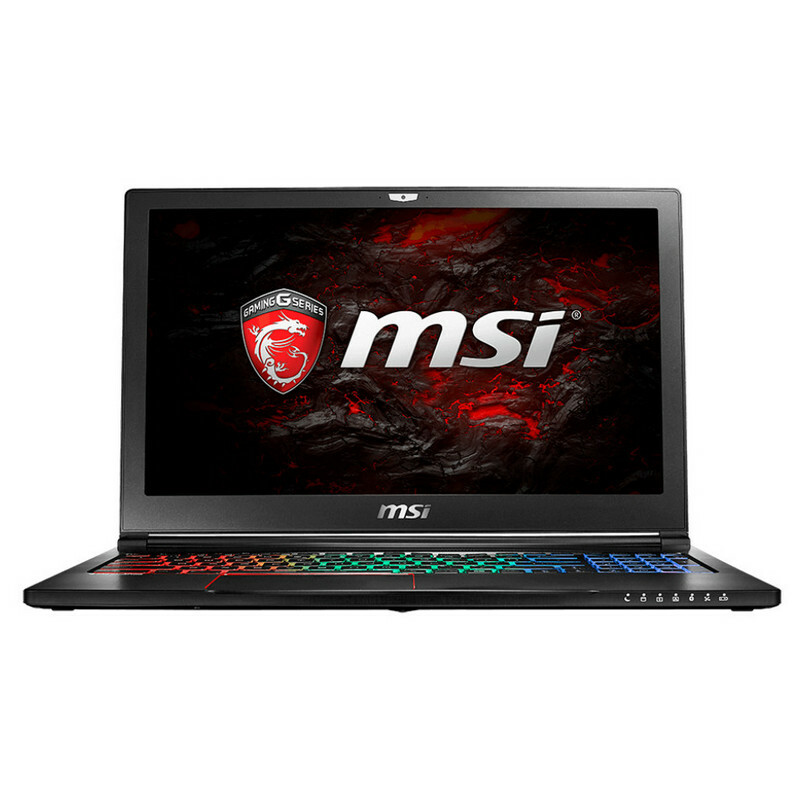 In short, MSI VR Ready GS63VR Stealth Pro-068 is everything a gamer needs: sharp Full HD screen, powerful quad-core processor, speedy solid-state drive and most importantly, a top-notch dedicated graphics card. Any game you want to run will have smooth as a silk FPS on settings maxed out. So, if you have money for this beast and you like gaming above all, I do recommend checking out this MSI! We are really impressed with the performance and design factor of the laptop. It’s almost all that a gamer can ask for in a slim and light design with good cooling and great performance. 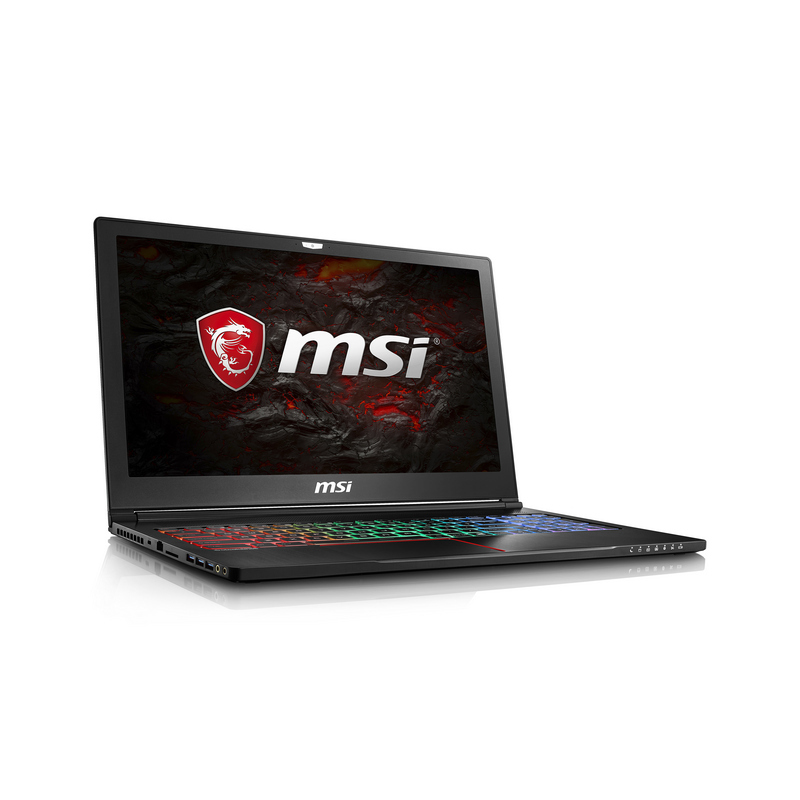 The industrial look of the laptop is something unique from what MSI usually offers. Positive: High efficiency; compact chassis; powerful hardware; good cooling system, solid workmanship for gamers. Negative: Relatively high price. Positive: High quality; comfortable keyboard and touchpad; great display; powerful speakers; powerful GeForce 1060 GTX; pretty good performance in Full HD; light and handy; high energy efficiency. Negative: Hot under load; mediocre battery life. Positive: High performance; excellent display; comfortable keyboard with backlit; high autonomy; compact size. Negative: Low mobility; overheats while using; noisy under loads. Positive: High performance; slim case; solid workmanship; long life battery; silent cooling system. Negative: Weak speakers; noisy under load. Previously, the best GPU we could expect in a laptop this thin was Nvidia’s GeForce GTX 970M. The GTX 1060 in the Stealth is at least 50 percent faster than that. That means that with the MSI GS63VR Stealth, you can finally have your portability and your performance at the same time. Like many MSI laptops these days, the MSI GS63VR 7RF Stealth Pro is a slim gaming laptop. Thanks to its powerful Core i7 processor and Nvidia Pascal video card, the 15-inch GS63VR can keep up with speedy desktop replacements, but without the backbreaking weight. Even better, the skinny system can support VR headsets, like the Oculus Rift and HTC Vive, without breaking a sweat. Somehow, MSI managed to fit all those powerful components in a 4.2-pound, 14.9 x 9.8 x 0.69-inch chassis. It's one of the slimmest 15-inch gaming laptops on the market. The laptop's black, brushed-aluminium lid gleams in anticipation of the user's touch. It’s black aluminium interior is a design that's similar to previous Stealth laptops. There are a few slight changes, including an orange power light that now lurks at the centre of the top-mounted heat vent, and the red, chrome-lined touchpad. The Stealth Pro's 1920 x 1080 matte display is begging to be seen. The 15.6-inch panel serves up gorgeously vivid colours, particularly when it comes to red hues. Most of the Stealth Pro's vividness comes from its ability to reproduce 111 percent of the sRGB colour gamut (100 percent is excellent), which is better than the 90-percent mainstream average. 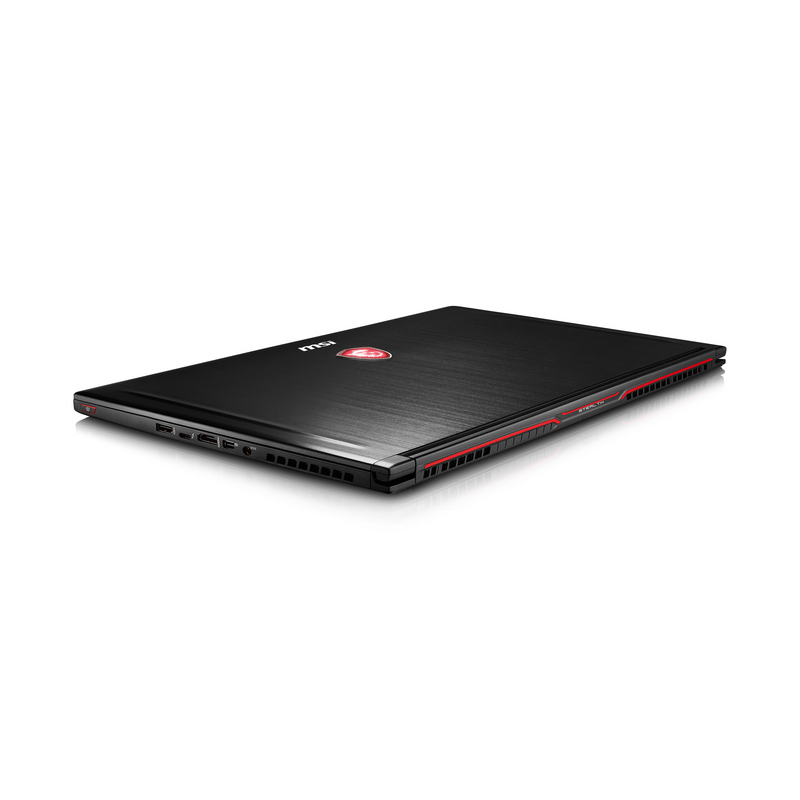 The Stealth Pro is outfitted with a 2.6-GHz Intel Core i7-6700HQ processor with 16GB of RAM, which is comparable to most gaming laptops on the market. The Stealth Pro's 256GB M.2 PCIe SSD, which is paired with a 1TB, 5,400-rpm hard drive is capable of duplicating 4.97 GB of multimedia files in 9 seconds. As for audio, the laptop has the Nahimic 2 software installed, which offers several presets to optimize the listening experience. For gaming, there are Role Play, Shooter, Strategy, and Racing. Multimedia settings include Music and Comms. The app also offers several cool features that will help get a jump on in games. For example, the SoundTracker feature points out enemies' locations based on sound. There's also Audio Launchpad, which maps sound effects to keyboard shortcuts, letting the user quickly accentuate a sweet move. MSI and SteelSeries continue to make a great team: The island-style keyboard delivers firm, bouncy feedback, making it one of the best keyboards. The multi-coloured backlighting illuminated my keystrokes, even with the lights off. For a cool custom creation, thanks to SteelSeries' software, users can assign one of 16.8 million colours and four effects to one of the three zones of the keyboard. There's also the GameSense feature, which maps the keyboard zones to a specific game. Along the Stealth Pro's right, there is a USB-2.0 port, a USB-3.1 Thunderbolt port, HDMI, a Mini DisplayPort, the power port and the power button. So coming back to our main question, is it the portable gaming device that every gamer has been waiting for? Well, after testing the laptop under some intense usage, we can safely say that the GS63 VR 7RF Stealth Pro is BIG on performance and is LIGHT in weight ! With so many versions of the MSI Stealth Pro laptop available you're guaranteed to find one to suit your needs and/or budget. All of them look fantastic in the brushed aluminium chassis and the black finish ensures that the Steelseries RGB keyboard really shines. The build quality is excellent too. Cheaper laptops can sometimes flex a little more than you might be comfortable with, but the MSI has no such issues. Even the screen is rigid for those times when you open it one handed rather than using the recommended two. Positive: Excellent screen; powerful hardware; fast system; good speakers. Negative: Weak GPU. Positive: High portability; long battery life; powerful hardware; silent system; excellent connectivity. Negative: Hard to upgrade; inflexible fingerprint sensor. Positive: Powerful hardware; stylish design; compact size. Negative: Low performance. Inevitably, this kind of devices is doomed to have disadvantages. First of all, the heat – while it manages competitive and playable framerates it tends to get very hot on the inside, although the surface temperatures were surprisingly adequate, never exceeding 45°C. Another drawback we encountered with our unit was the questionable build quality. As we had no problems with the device itself, there were some awkward sounds coming from the palm rest area, both when you place your hands on top of it and when you right-click the touchpad. 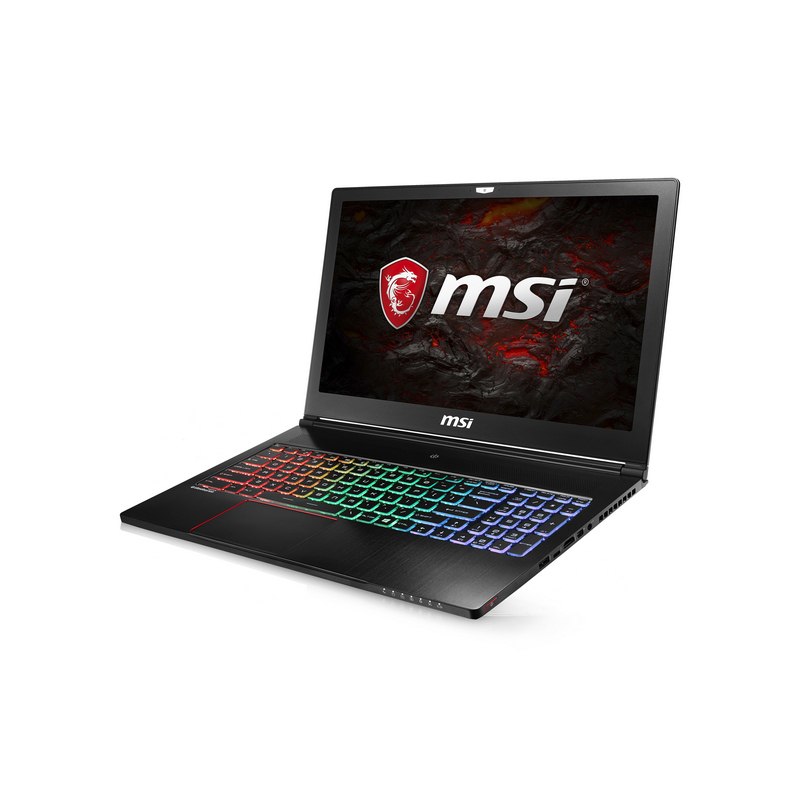 The MSI GS63VR 7RF Stealth Pro is available in several different configurations. Overclockers UK list four right now which you can see over HERE. You can tell them apart by looking at the full title on each page. The one we reviewed today is the ‘211UK’ model which features the high grade 4K 15.6 inch IPS panel and a larger 256GB boot SSD drive. Positive: Long battery life; excellent display; high portability. It's thin, it keeps thermals down and there's enough performance to run pretty much any modern game at 60fps on high settings. The 120Hz display is a lovely touch and while battery life could be improved it's hard to fault MSI on the beast it has created here. The 2017 GS63VR has crammed a 40% GPU boost into the same ultra thin 17.7mm chassis, for one of the most dramatic iterative performance boosts we'll see this year. We need to details such as price and battery life but the MSI GS63VR Stealth Pro is a seriously sleek and portable gaming laptop. With Nvidia Max-Q it's got a GTX 1070 plus plenty of other great specs. Positive: Large screen; good hardware; high performance. Negative: Relatively high price. Positive: Powerful hardware; high gaming performance; large screen; excellent display; nice connectivity; backlit keys. The Max-Q GS63VR is an impressive slim gaming laptop despite of its shortcomings, the hardware package and portability are something that many other gaming laptops still do not offer as of today, and this is a dream portable machine for gamers and professionals who wants great computing performance on the move. 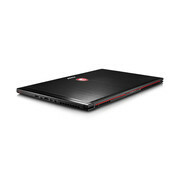 If you are not thinking to purchase the Max Q GS63VR, MSI also offers it in GTX 1060 and GTX 1050 models, but do also expect a smaller amount of storage and a standard 60Hz refresh rate display for the base model. Overall, the MSI GS63VR remains a reliable option for a gaming notebook. 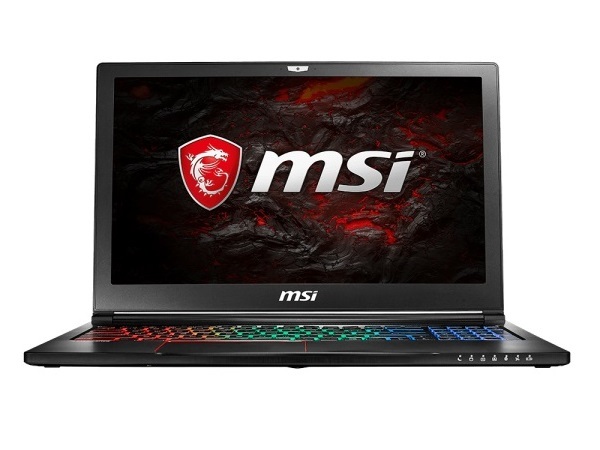 MSI has come far with their gaming notebook offerings, to the point where they can now offer a comprehensive line-up of products in almost every form factor, performance level, and price point. 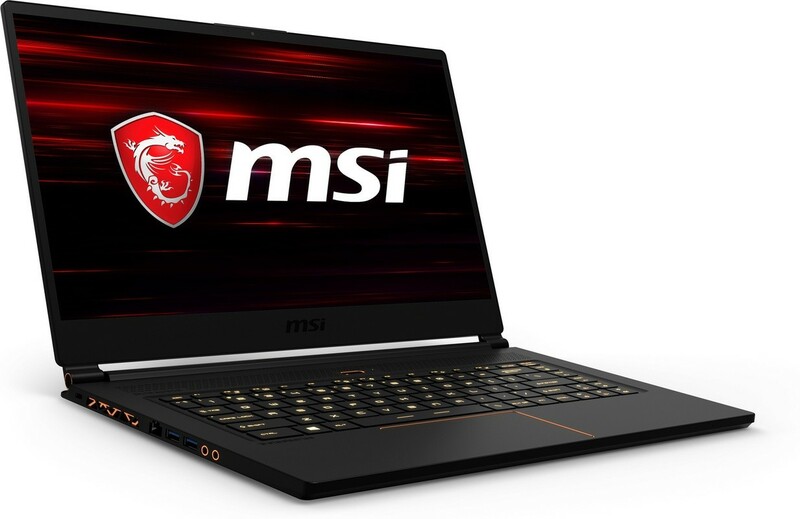 The MSI GS63VR 7RG Stealth Pro with Max-Q delivers fast HD gaming performance while remaining light and compact, but could use a fresh design. It seems that isn’t the case—so, why should you pay over more for a Max-Q GTX 1070 than a regular GTX 1060-powered laptop? We already talked about size and weight. The other key factor is noise. Every GTX 1060-powered laptop we’ve tested sounds like a jet taking off as soon as the fans spin up. Not here—the GS63VR Stealth Pro lives up to its name. You just won’t hear this jet coming. -bo moore. NVIDIA GeForce GTX 1060 (Laptop): The mobile GTX 1060 is based on the GP106 chip and offer 1280 shaders. Compared to the identically named desktop version it features a slightly lower clock rate. Games in Full HD and maximum details should run fluently on the card.NVIDIA GeForce GTX 1070 (Laptop): Pascal based high-end mobile graphics card based on a cut down GP104 (like the GTX 1080) and GDDR5 graphics memory. Successor to the GTX 980M with a 10 Watts higher TDP. Similar to the desktop GTX 1070 performance wise, but with more shaders and lower clock speeds.NVIDIA GeForce GTX 1070 Max-Q: Efficient high end graphics card for thin and light laptops based on the same GP104 chip as the normal GTX 1070 for laptops but at slower clock speeds. Offers a approx. 15% lower performance but much lower power consumption. With these GPUs you are able to play modern and demanding games fluently at medium detail settings and HD resolution. NVIDIA GeForce GTX 1050 Ti (Laptop): Mainstream graphics card based on Nvidia's Pascal architecture and successor to the GeForce GTX 965M. Is manufactured in a 14nm process at Samsung and the technical specifications are very similar to the desktop version.NVIDIA GeForce GTX 1050 (Laptop): Mainstream graphics card based on Nvidia's Pascal architecture and successor to the GeForce GTX 960M. Is manufactured in a 14nm process at Samsung and the technical specifications are very similar to the desktop version.» Further information can be found in our Comparison of Mobile Graphics Cards and the corresponding Benchmark List. 82.72%: This rating should be considered to be average. This is because the proportion of notebooks which have a higher rating is approximately equal to the proportion which have a lower rating.» Further information can be found in our Notebook Purchase Guide.